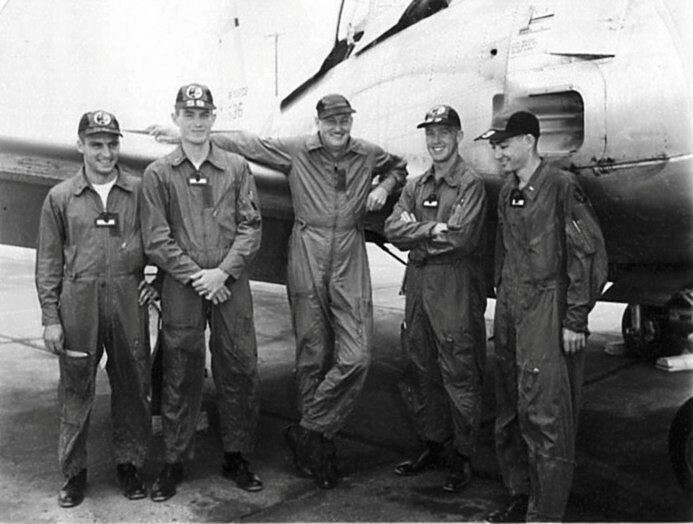 2nd Lt. Bill Gmelin (2nd from right) and flight instructor George Jones (center) pose with members of the 3077th Pilot Training Group alongside aircraft 7636, the plane they were flying on the night of June 16, 1955. William J. Gmelin was the grandson of Ludwig Gmelin, eldest brother of Adolph Gmelin, and thereby second cousin to Marilyn Matthews Riis and Robert T. Gmelin. Note: The eyewitness testimony quoted here is taken from United States Air Force Accident Report 55-6-16-5, obtained by me through the Freedom of Information Act. William Jay (Bill) Gmelin was born in New Rochelle, New York, in 1932, the only child of bank accountant William Julius Gmelin (1899-1995) and his wife, Mildred J. Thomas (1898-?). Bill married fellow New Rochelle native Mary Jane Butler, an elementary school art teacher, in his senior year at Dartmouth University. After graduation in the spring of 1954 Bill entered the Air Force. 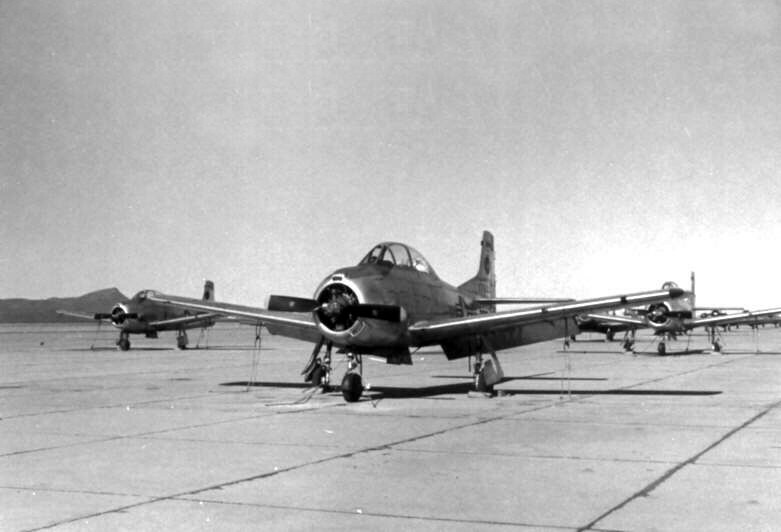 In June of 1955 Second Lieutenant William Gmelin was a student pilot in the 3307th Pilot Training Group at Marana Air Base near Tucson, Arizona, with 97.25 hours of flight time. Mary Jane was 8 months pregnant with their first child. Bill’s dog tags were recovered from the debris field; there were no identifiable remains. Peter Gmelin was born on July 13, 1955. A few years later, Mary Jane married William Gill, who adopted Peter. Mary Jane Gill retired from teaching at age 60, returned to school, became an art therapist, and lives today in Prescott, Arizona. 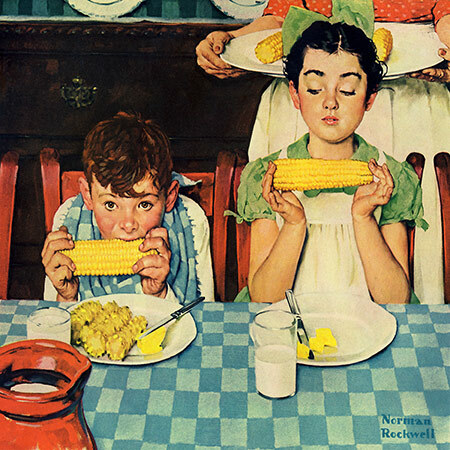 Peter Gmelin, now Peter Gill, is presently living in Nashua, New Hampshire. 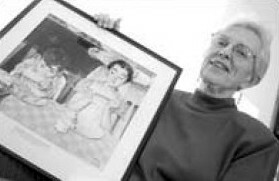 Mary Jane Butler Gmelin Gill poses in 2001 with a portrait of herself at age 7, painted by her neighbor, Norman Rockwell. Interesting story. I’m named after my Uncle Russ, who was an instructor on a dual-instrument training flight in 1942. They caught a wing-tip on a hill coming in for a landing at Allan Hancock Field, Santa Maria, CA. As in your report, no identifiable remains, but the dog tags were found. Was this the mishap that is located west of Desert Peak? I used to have a copy of the accident report but cannot find it at the moment. Possibly. This crash occurred a short distance SE of Phoenix between Marana and Picacho, near Red Rocks. 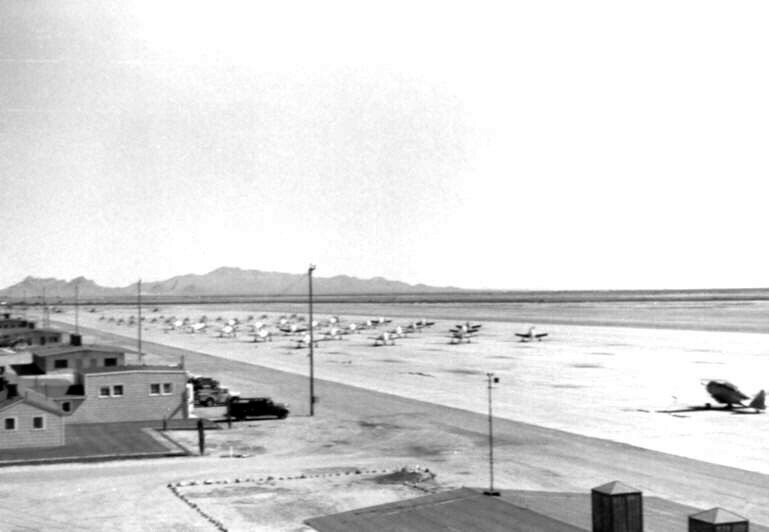 Marana AFB, where the flight originated, is now Pinal Airpark. 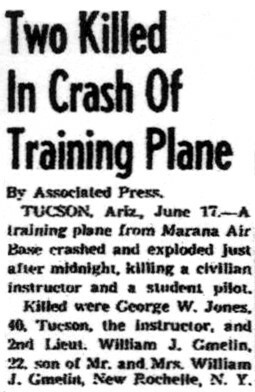 Since Marana AFB was a training facility there may have been other crashes in the area over the years. YEs, there have been a number of mishaps in the area. I have been researching historic mishaps for a number of years and have been to this mishap site. There is very little debris remaining, but enough to identify the area. I went out to the site of Lt. Bill Gmelin’s T-28 crash today. If you would like GPS coordinates or any photos of the site, please contact me by my e-mail. I would be interested in a photo of the site, if convenient for you. Thank you very much.